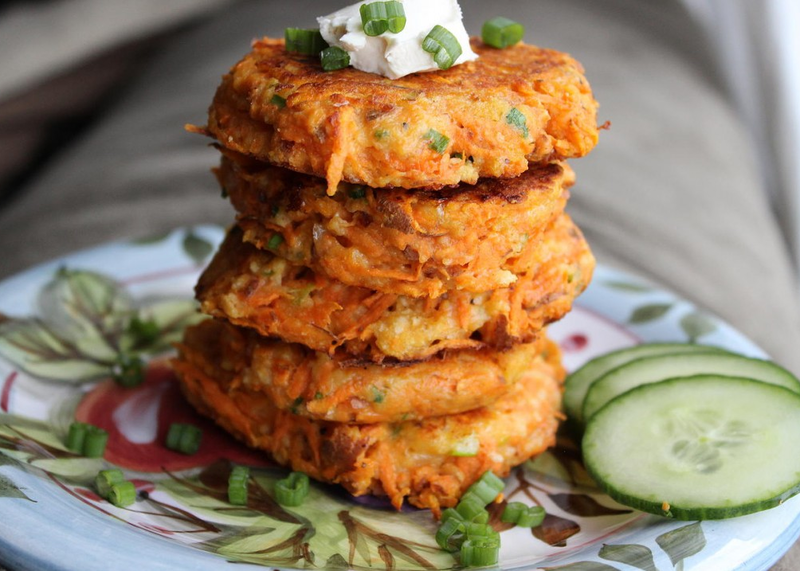 Todays Meal Of The Day is… Yam Latkes! From Crystal Hills Organics! “Yams are an excellent source of vitamin C and B, potassium, and fibre. Alternatively, you can also substitute yams with sweet potatoes in this recipe. So what’s the actual difference between yams and sweet potatoes? I get asked this all the time when clients are shopping. Sweet potatoes are not a type of yam, and yams are not a type of sweet potato. Confused yet? True yams are hard to find and grown in Africa and Asia and not typically found in your everyday grocery store. True yams have a cylindrical shape with blackish or brown, bark-like skin and white, purple or reddish flesh.